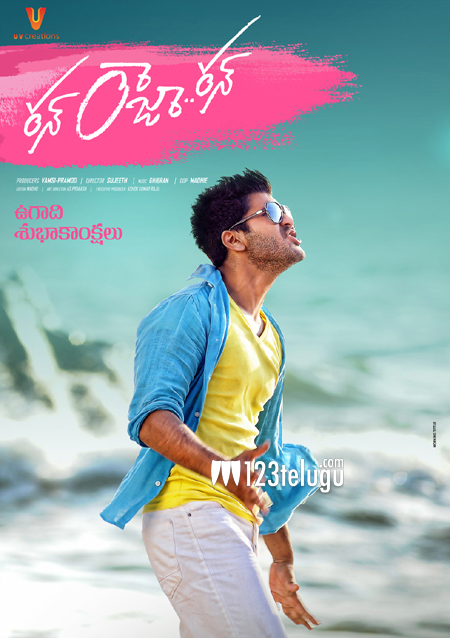 Sharwanand will soon be seen in an action comedy titled Run Raja Run. Vamsi and Pramod, who had earlier produced Mirchi, are producing this film under UV Creations banner. Seerat Kapoor is making her debut as a lead actress with this film and Sujeeth is the director. The film’s official teaser was launched earlier today and it’s getting very good response from the audience. Madhie’s cinematography and background score by Ghibran are getting a lot of compliments. Buzz is that Sharwanand is playing the role of a con and more details about the film are expected to be revealed soon. Most part of the film has been shot in Hyderabad and Goa. Sujeeth had earlier directed quite a few short films and this is his first feature film as a director. The film’s shooting has been wrapped up and currently it’s in post-production stage.